WiggleButts who do not meet the age requirements for Puppy Kindergarten should enroll in Level 1. This class is designed to introduce basic manners training and promote a happy, healthy relationship with your dog . Humans and dogs will work as a team to learn the value of positive reinforcement. The focus will be on how to teach basic skills like sit, down, come, stay, etc. Effective techniques for successful management and modification of problem behaviors will be discussed each week. Exciting training games and practice exercises will help dogs pay attention, respond reliably to verbal cues, and offer opportunities for socialization and enrichment. WiggleButts who have successfully completed either Puppy 2 or Level 1 are eligible for Level 2. This class will cover advanced training concepts such as how to transition to an intermittent reinforcement schedule and how to work in and around distractions. Humans will demonstrate proficiency with the clicker, learn advanced training techniques, and participate in a friendly Wigglebutts Awesome Trick contest. Dogs will continue to practice the basics, learn to greet other dogs and humans politely, tolerate a brief physical exam, and begin heeling exercises. Humans and dogs will continue to work as a team to resolve complex training challenges. WiggleButts who wish to continue training beyond Level 2 should sign-up for the Level 3 experience. The curriculum will include topics ranging from the Canine Good Citizen (CGC) test, to Therapy Dog readiness, to awesome party tricks, and cool games for dogs. The final class will include a practice CGC test and WiggleButt Olympics to evaluate the skills of each team. - must be free of external parasites (mites. fleas, etc.) at all times. Vaccination against Bordetella is recommended but not required. Rabies vaccination is required if your dog is 6 months or older. You will need to have your veterinarian fill out and sign the health certification form. Dogs without proper health certification will NOT be admitted to class. No exceptions. Manners classes meet once a week for 6 weeks and each class lasts 60 minutes. There will be 6 spaces available. Please check the schedule for Level 1 and Level 2 class dates and times. Level 3 will be scheduled and offered according to interest. If you are interested in joining a Level 3 class speak to your instructor about the next available session. If your dog meets the requirements for a manners class you can register by mail. Please print and fill out the registration form and send it in with the registration fee. If you have taken classes at WiggleButts in the last 6 months you need only provide updated health information (rabies vaccination date, etc.) when applicable. If it has been more than 6 months since your last class please work with your veterinarian to complete the health certification form. The fee for manners classes is $150. Cancellations made at least 48 hours prior to the first class of the session will receive a full refund. Cancellations made between 48 hours prior to the first class and the first class of the session will receive a 50% refund. No refunds of class fees will be given once a session begins. There is a $35 fee for returned checks. If you need to miss a class for any reason, try to have another family member bring the pup to class. There are no refunds or discounts for missed classes. If a class is cancelled due to inclement weather or for any other reason, a make-up class will be scheduled. 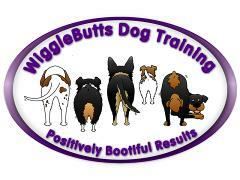 WiggleButts is excited to announce the addition of group classes beginning September 2012. We will share training space with Hero Dogs, located in Laytonsville, MD. Please use the following class descriptions to help you select the best classes for you and your WiggleButt.